Samsung sure knows how to make an entry at the CES 2018 trade show. 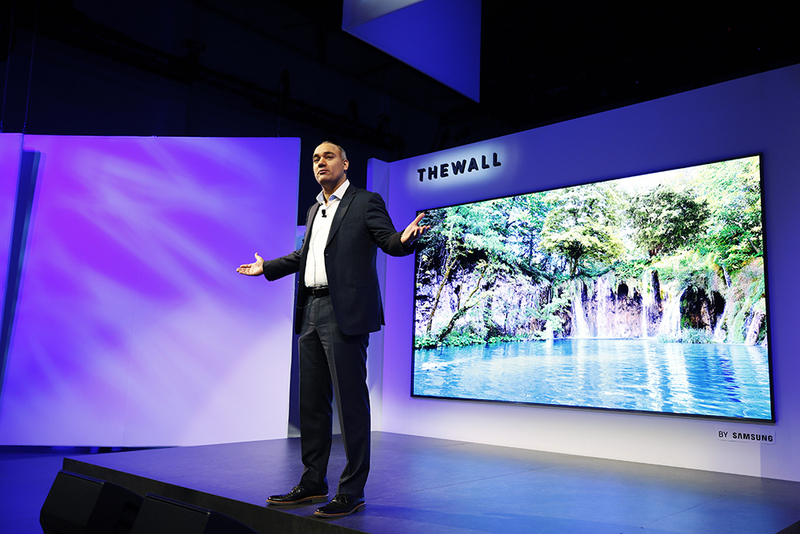 The company today unveiled ‘The Wall’ which is a term that should not be taken lightly because when measured diagonally, it is a microLED TV that has a screen size of a mammoth 146 inches. If you ever wanted to see the TV industry evolving in both size and technology, Samsung is offering you a first look at exactly that. 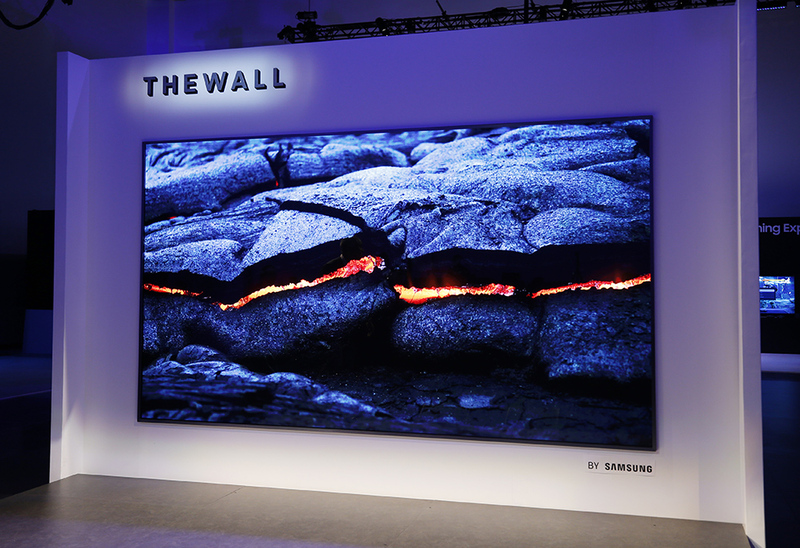 Jonghee Han, President of Visual Display Business at Samsung Electronics states that ‘The Wall’ offers rich colors and a wide color gamut for the ultimate viewing experience. The microLED technology that is used to make such a display marvel is smaller in size than current LEDs and become a source of light on their own. This particular technology also negates the need for color filters or backlight and is extremely energy efficient at the same time. One of the most notable features of ‘The Wall’ is its bezel-less design. While Samsung has not detailed if the company plans on manufacturing large-screen units of this mammoth-sized display, the tech giant does state that consumers will be able to customize their television sizes and shapes to suit their needs. For example, the display can effortlessly adapt to serve different purposes, such as creating a wall-size display for multiple spaces, though you will need ample space to mount it on your wall in the first place. What are your impressions about Samsung’s latest display product? Tell us down in the comments.